Facial is a great way to pamper yourself & the skin. A facial treatment performed by expert aesthetician using quality products delivers wonderful results instantly. 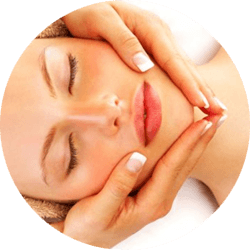 At European ecoSpa, we offer different facial services to clients depending upon their skin type, how much time they have, expected results and the price. While our rates are affordable, we use premium quality products which further raises the standard of our spa. There are several other types of facial services that we offer, according to the requirements of the skin of the customer. Experience the difference on your skin with our signature skin treatment that will give you a more radiant and healthy skin. For facial services, we recommend you to take a prior appointment to avoid last moment disappointment! Call us now.